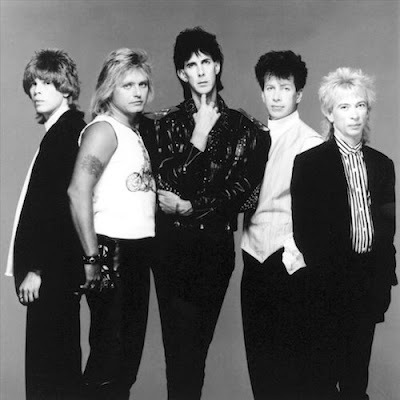 The Cars will release expanded reissues of 1979’s “Candy-O” and 1980’s “Panorama” via Rhino Records on July 28. “Candy-O” arrived one year after the huge success of the Boston band’s self-titled debut and was introduced by the US Top 15 hit single “Let’s Go.” The project reached No. 3 on the Billboard 200 on its way to US platinum sales within two months after release, eventually racking up US sales of more than 4 million copies. The expanded “Candy-O” reissue features the original album plus seven bonus tracks of alternate mixes and the previously unissued version of "They Won't See You." The expanded reissue of “Panorama” presents the original release plus four bonus tunes, including the previously unreleased songs "Shooting For You," "Be My Baby" and "The Edge." The “Candy-O” and “Panorama” reissues will be available on CD, 2LP vinyl and digitally. The Cars have sold more than 23 million albums in the US alone since 1978. The band were among the nominees for the 2016 and 2017 Rock And Roll Hall Of Fame, but failed to be confirmed as inductees both years. 02. "Since I Held You"
03. "It's All I Can Do"
08. "You Can't Hold On Too Long"
04. "Don't Tell Me No"
08. "You Wear Those Eyes"
09. "Running Up To You"